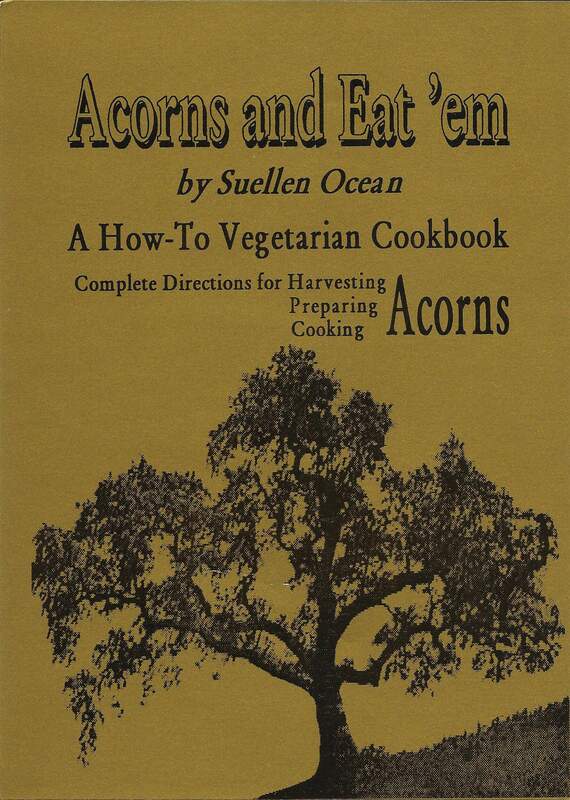 Eating Acorns… Are There Any Benefits? In the Bedroom? I have been cooking for forty years. I use a lot of spices and half the time when I do, I think about all the wars that have ensued because of them. As much as I hate war, I have to admit that when I open up my spice jars, I get it. In my earliest days of cooking, I used way too much spice. I had to learn how to use each one and that has only come from years of experience. What I’ve learned is that you don’t need much. I’ve never used too much marjoram, but I’ve ruined dishes with too much rosemary, thyme and even basil. Even after all these years, I still like to take a sniff when I open the jar, right before I spice. It tunes me into the art of spicing. Another important aspect I’ve learned is that you don’t have to simmer spices to develop full flavor. I’ve cooked the flavor of spices out of my food, enough times to know… use a little and don’t cook it too long or it will dissipate. And I always get the freshest spices I can and that means heading to my local natural foods store. I have my own little jars with tight fitting lids and I write the name of them with a black marker on the lid and on the jar. And though I love fresh spices, another thing I’ve learned is that if I keep a spice in a small plastic bag, twist tied and then put into an air tight jar, it will keep for years. My first preference is for fresh spices, but I must confess that I have used spices as old as twenty years and they worked. They weren’t as potent so I used more. Don’t be afraid to spice it up but the best tip I can give is start with a pinch until you get to know the spice and then you can use two, three or four pinches. Next time you’re putting together a tofu scramble, try using soy flour instead of tofu. One-quarter cup of the dry flour has 10 grams of protein, 10 % of the daily requirement for calcium, 25% for iron, 14% for phosphorus and 30% for magnesium. I find that very impressive for something that is also quite tasty. There is no better time than today to check in with yourself and what you do with your “spare” time. Benjamin Franklin once said that the three grand essentials to life are… something to do, something to love and something to hope for. If we don’t keep these three things in mind, we could be in for some rough times as we age. It doesn’t matter how old you are, everyone needs to fulfill these essentials. Plan ahead for the days when you are too old to ride a bike or live alone and there’s no one to cook and bake for. In the old days it was called having a hobby. It’s more important than just a hobby, it’s having a life. Tap into what has always interested you and no matter how old (or young) you are, take the steps necessary to do it. Have it become your lifestyle. You’ll live a long and happy life if you do. Why do those extra pounds cling to our bodies? Almost everyone I know can tell you how hard it is to lose even a few of those unwanted pounds. Everyone is also familiar with carbohydrates and many of us are used to eating them… to feel full. I’d be hungry all day if I didn’t eat bread, rice, cornmeal and pasta. But carbohydrates can take up to four hours to digest. We should be conscious of foods that digest quicker and run through and out of our bodies faster, like fresh fruits and vegetables and digestive stimulants like fresh, hot peppers. Maybe those extra pounds will go with the flow. Better energy comes with better digestion and even our brains are connected to our digestion. Strong body… strong mind. How about lively body… lively mind. Why Don’t Women Sew Any More? It’s a sexist question to ask, “Why don’t women sew anymore?” Men sew too. I met a man who had a sewing machine and made sports clothes and I know men who are bikers and pull out needle and thread to stitch their leathers when they need repair. Men have been sewing probably as long as women have, tailors are evidence of that. However… many more women throughout history have enjoyed sewing their own clothes. Not so much anymore and why is that? One reason might be because third world countries did it so much cheaper and the industrial age sent women to work, right alongside men. Nevertheless, I think the main reason women don’t sew much anymore is because the sewing machines made it a pain in the &%$#. The first day of sewing class, I ran the sewing machine needle right through my finger. For years, I have persevered through bundled, knotted thread that stops the machine and God forbid… uneven tension. Then there are the broken needles and the year that stretch knits came out and we had to learn to sew on that fabric for the first time. The “new” sewing machines were fine when they were simple but the more advanced they got, fewer women wanted to torture themselves with it. Forget it already! “I am a lousy seamstress,” they told everyone. The sad part of that is that they weren’t lousy; the machines were just NOT user friendly. I have been sewing for decades. How do I do it and still enjoy it? It happened quite by accident. I lived in the mountains and we had no electricity so I had to sew on a treadle machine. All it does is sew, forward and backwards. That’s it! And guess what? I have no problems with it. I never mess with the tension, I know better than to touch it. 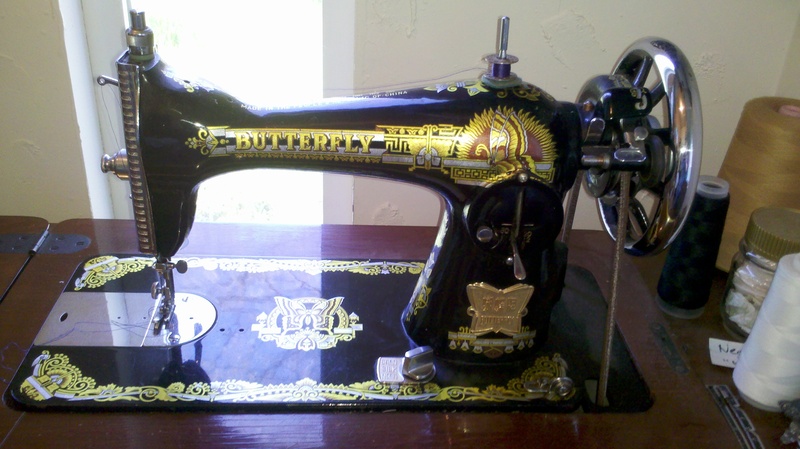 My treadle machine was manufactured in the 1980’s in China and is called a “Butterfly.” What happened was, communist China bought out an old Singer sewing machine factory and continued making the machines but made them to run as treadles without electricity. I have had my treadle for about twenty-eight years. I love it and I love to sew! Just thought some of you might like to know.